Michael M. Sargent has joined CTA Acoustics Inc., a Madison Heights-based manufacturer of acoustical and thermal fiberglass insulated products, as director of quality to the executive staff. Sargent brings more than 20 years of experience in quality systems and management in the automotive business, including 10 years as a Tier 1 supplier in the acoustics and fiber industry. Previously, Sargent was director of global supply chain and value added engineering at Osborn International. Before that, he held positions of positions of increasing responsibility at Osborn International, Janesville Acoustics, a division of Jason Inc., Kautex Inc., Milacron Inc., and Continental Structural Plastics. 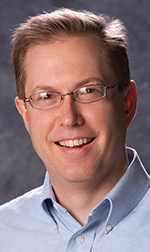 Inc.
Sargent, of Madison Heights, holds a Bachelor of Science in plastics engineering technology from Ferris State University and a Master of Science in management, with dual concentration in operations and manufacturing technology from Krannert Graduate School of Management, Purdue University.